SiteGround vs. A2 Hosting (2019) - Here's the Winner! Home » Hosting Reviews » Hosting Comparisons » SiteGround vs. A2 Hosting (2019) – Here’s the Winner! SiteGround vs. A2 Hosting (2019) – Here’s the Winner! Wondering which web hosting provider is better: SiteGround or A2 Hosting? SiteGround and A2 Hosting are 2 of the most popular hosting providers on the market. Without a doubt, choosing the wrong web host could sabotage your online business and reputation. That’s why we’ve written an UNBIASED web hosting comparison between A2 Hosting and SiteGround, so you can decide which one is the best option for your site. SiteGround is an officially recommended web hosting provider by WordPress.org. They have one of the best 24/7 WordPress support in the industry. 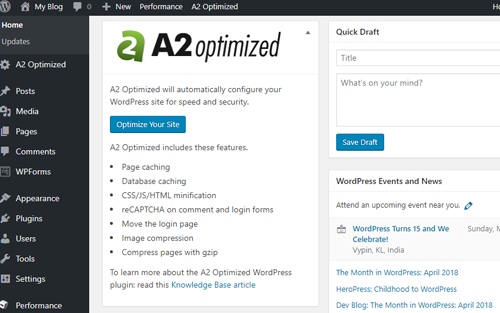 They offer automatic upgrades, built-in WP caching, CDN, one-click staging and GIT version control. They’re one of the few hosting companies that let you choose your preferred data center location when signing up for a hosting service. They also offer a 30-day money back guarantee to test drive their hosting service. A2 Hosting brands themselves as the best developer-friendly web hosting provider. Their web hosting options are highly versatile. For example, they let you choose between Linux and Windows hosting plans for shared hosting. You can also select the hosting management level when you’re either signing up for VPS or dedicated server hosting. Just like SiteGround, A2 Hosting also allows you to choose your preferred data center. If you cancel your A2 Hosting account within 30 days, you’re eligible for full refund. You can request for prorated refund of unused service after 30-days. SiteGround provides industry-leading speed technologies like NGINX, HTTP/2, PHP7, and free CDN to speed up your website performance. On the other hand, A2 Hosting allows you to opt for Turbo servers when you’re signing up, which provide a drop-in Apache replacement to speed up your site performance 20 times. To test the performance of the hosting servers for our SiteGroud vs. A2 Hosting comparison, we signed up with both web hosting services and created a test site with WordPress. To mirror the production environment on our test website, we also installed a default WordPress theme, added dummy content, and uploaded some images. According to our Pingdom’s website speed test, our SiteGround test site loads in less than a second when tested from Dallas, Texas. That’s faster than 95% of all tested sites. Conversely, our A2 Hosting site took 1.28 second to load. That means the site is only faster than 84% of all tested websites. We also conducted another performance test using Load Impact to see how our test servers perform during a traffic surge. During our analysis, we sent some virtual users (VU) to our websites. From our chart, you can see that our SiteGround site performed almost consistently until there were around 50 users. The website slowed down for a few moments, and then it reverted after a few seconds. Similarly, our A2 Hosting test site performed consistently until there were around 40 visitors on the site. The website slowed down for a while and then reverted to the normal state. Both SiteGround and A2 Hosting provide cPanel access to our users for managing their web hosting accounts. Plus, their one-click installers help you quickly install popular website scripts, such as WordPress, Joomla, Drupal, etc. If you opt for Windows hosting with A2 Hosting, then you’ll get access to Plesk for managing your web hosting account. Both SiteGround and A2 Hosting offer all essential features you need to get your website up and running, such as unlimited bandwidth, choice of data centers, 1-click installers, website builder, etc. In terms of features, below are a few areas where SiteGround stays ahead in comparison to A2 Hosting. SSD storage: SiteGround offers SSD storage whereas A2 Hosting provides RAID 10 storage. 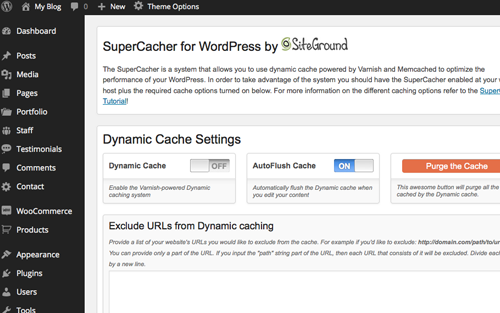 High performance: To enhance server performance, SiteGround provides free CloudFlare CDN, PHP 7 with OpCache. In-built security: With all SiteGround plans, you can avail free daily backup. With a slightly expensive plan, you’ll all get free backup restores. Geeky features: With SiteGround’s GoGeek plan, you’ll get PCI compliant servers for eCommerce stores, 1-click Git repo creation, and easy WordPress and Joomla staging. Now that we know the benefits of SiteGround over A2 Hosting, let’s take a look at a few areas where A2 Hosting excels in comparison to SiteGround. Windows & Linux Hosting: Unlike most hosting providers, including SiteGround, A2 Hosting lets you choose between Windows and Linux hosting. Anytime money back: Aside from 30-day money back guarantee, A2 Hosting offers a pro-rated refund for unused service after the first 30 days. Choice of management level: A2 Hosting also lets you choose the management level of VPS and dedicated server hosting. We believe that A2 Hosting is a highly versatile hosting provider that gives you a lot of choices when you sign up for a hosting service. When it comes to features, they definitely stand out from the competition. Both SiteGround and A2 Hosting offers 24/7 support via 3 modes: live chat, email, and phone. Both of them have a vast knowledge base explaining how to build a website with their hosting servers. Let’s take a look at a head-to-head comparison between SiteGround and A2 Hosting. SiteGround $3.95 /mo. $3.95 /mo. $42/credit/year - $269.00 / mo. A2 Hosting $3.92 /mo. $3.92 /mo. $13.19 / mo. $5 / mo. $99.59 / mo. As you can see in the table, A2 Hosting plans are cheaper than that of SiteGround. You might also notice that the dedicated hosting price for A2 Hosting is way cheaper. That’s because SiteGround only offers managed dedicated server hosting whereas A2 Hosting allows you to choose the management level. If you’re looking for an affordable VPS or dedicated hosting server, A2 Hosting’s unmanaged hosting could be the best bet. After our comparison, we believe that SiteGround is a better hosting provider than A2 Hosting. SiteGround constantly improves their hosting infrastructure and uses latest speed technologies to improve performance of their hosting platform. While most hosting providers simply boast about excellent customer support, SiteGround is the one who actually delivers it. With SiteGround, you don’t have to wait more than a few seconds for the next available operator. Whenever you need assistance, they have got your back. If you’re looking for an affordable hosting provider, then you might consider choosing A2 Hosting. We hope this article helped you find the right hosting provider. For more details, check out our SiteGround review and A2 Hosting review.